Three people are dead, and several others seriously injured, after a driver apparently failed to check for oncoming traffic before passing another vehicle. This crash occurred on Highway 54 near the Chantel Drive intersection. Florida Highway Patrol investigators state that a 30-year-old man moved from the westbound to the eastbound side of the two-lane road to pass another vehicle. In so doing, he crossed directly into the path of a 2005 Toyota Camry. The impact killed the driver and the passenger instantly. The man was ejected from the vehicle; he died shortly thereafter. There were two children in his car. They were both seriously injured, but they are expected to survive. The victim was not wearing his seatbelt, but all the other victims were properly restrained. 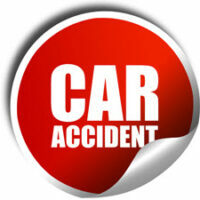 Driver inattention causes a significant number of the car crashes in Florida. At the risk of speculating, that appears to to be the case here as well. This particular stretch of County Road 54 is relatively straight and relatively flat. Most likely, the tortfeasor (negligent driver) did not expect oncoming traffic and simply did not look. Driver inattention cases, even if there is no alcohol or other impairment involved, could involve either negligence or negligence per se. Most drivers have a duty of ordinary care. Failing to drive on the right side of the road and failure to watch for oncoming traffic clearly breach the duty of reasonable care. That’s especially true if there was evidence of careless driving right before the crash. Some Hillsborough County jurors will forgive a one-time lapse. Failure to obey “the rules of the road” also constitutes negligence per se. In these cases, the law establishes the standard of care. If a tortfeasor violates a traffic law, there is a presumption of negligence. This presumption is absolute (tortfeasors are liable as a matter of law) if the violated traffic law involved criminal penalties. The DUI law is a good example. Excessive velocity increases both the risk of a collision and the force in that collision. So, speed is a factor in about a third of the fatal car crashes in Florida. Speed exponentially increases stopping distance. It only takes a second or two for tortfeasors to see potential hazards, move their feet from the accelerator to the brake, and stop the car. But in that time, if the vehicle is travelling 30mph, that vehicle travels about six car lengths. At 60mph, stopping distance triples to eighteen car lengths. Furthermore, speed multiples the force in a collision between two objects. That excessive force often causes whiplash. The sudden back-and-forth motion often causes serious neck injuries. This same force also essentially transforms loose objects into high-speed projectiles. Do I Have A Case If I Wasn’t Wearing my Seatbelt? Florida courts do allow evidence of seatbelt non-use in the damages phase of a trial. However, in many cases, such evidence merely reduces the amount of compensation the victim receives. Even that is not a sure thing. The insurance company must introduce specific medical evidence which clearly shows that a seatbelt would have diminished the victim’s injuries. Merely quoting safety statistics is not enough. Even simple driver inattention can be considered negligence. For a free consultation with an experienced personal injury attorney in Tampa, contact The Matassini Law Firm, P.A. An attorney can arrange for victims to receive medical treatment at no upfront cost.